Fleet Manager Professional is a trucking dispatch and logistics management software that helps you manage your business' operational processes and performances by managing costs, productivity, communications, customer service and more. With FLEETMATE, you'll have organized records of all service activities on all of your fleet vehicles and equipment. Access data right on-screen. Or easily run reports to give you the information you need. 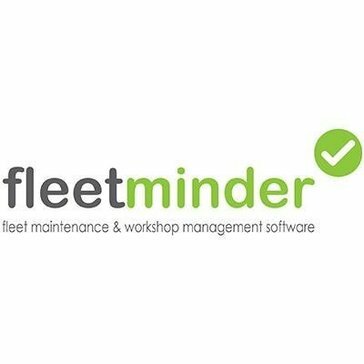 Fleetminder is a fleet maintenance and workshop management software that helps manage job cards, inspections, maintenance planning, compliance, vehicle history, business intelligence reporting and more. FleetOR is a comprehensive Fleet Management System that brings your entire operations on fingertips. Track your fleet on the go. Our FleetReach system is now available on your mobile device as a downloadable application. This means you can access important information from anywhere using your smartphone or tablet. FleetRobo IoT and Telematics Solutions aims at optimizing the usage of shared resources of transport industry. Fleet Trax, Inc. specializes in today's GPS tracking systems. Fleet Trax has become one of the nation's leading North American suppliers of GPS-based asset-tracking and fleet-management systems. Fleet Trax's products have proven to increase fleet efficiency, reduce operating costs, and improve customer service for companies all across the United States and Canada. FleetWise VB is industry leading Fleet Maintenance Software for industry and government. It includes vehicle and equipment information, preventive maintenance scheduling, repair orders, fuel tracking, inventory control, tire tracking and complete reporting. FleetZoo is an all in one planning and optimization SaaS platform for fleet operators and mobile workforces such as last mile delivery, HVAC, pest control, landscaping companies as well as city governments. Create logbook anywhere on your mobile or computer. Be clear about when and where your employees drive and what your car expenses are. Freeway provides comprehensive and flexible import, integration and smart data capture processes specifically designed for the Transport Industry. Frotcom software contains all the features you need to manage your fleet, whatever the industry you work in. Control your fuel costs with rugged and reliable automated fuel management systems and easy-to-use web based dashboards that increase your efficiency and help optimize your fleet operations. Eliminates human error by automating fueling and vehicular data capture. Web-based real-time fuel management solutions for industry specific needs. Side step costly innovations by avoiding expensive digging and trenching. GAC Commitment Manager enables you to set and monitor traditional indicators (water consumption, electricity) and specific indicators (toxic wastes, internal production). Gelios multifunctional intelligent GPS tracking system. The system allows to remote control of vehicles, special-purpose vehicles, or any mobile and stationary units. Geomoto GPS fleet and asset tracking solution is centered around allowing you to quickly and effectively track your fleet, improve productivity, and increase profitability. GreenEcoTracks G.E.T. Motor Pool is a full featured Motor Pool Management Software that enables organizations to pool fleet resources to drive reduced operating costs and increased fleet utilization. One of the most powerful big data and analytics platforms in the world. GPS commander: Reduce fleet operating costs, increase productivity and enhance customer service with cloud-based GPS fleet tracking systems. Telematics GPS gives you all the tools you need to measure the efficiency and productivity of your fleet. The GPS Fleet Software is an innovative comprehensive solution for GPS fleet management for SME and large companies. GpsGate Server is a web-based GPS tracking platform. GPS Leaders, LLC. is a family owned business in Winchester, CA that provides Leading GPS products and services to communities and businesses around the world. Our unique solutions are customizable, scalable and most user friendly in the industry. With GPS Owl you can track the location of people and things. GPS SUVIDHA works on providing solutions to the real time location and tracking problems of professional as well as personal need. It is loaded with different facilities which include tracking and monitoring of fleets by the transporters, personal assets by the people, investigation agencies private or government, telecom industry, banking industry and a lot more. GPS Tracking & Fleet Management tracks vehicles & radios using GPS when outdoors and iBeacon Bluetooth technology when indoors. The robust platform allows users to track vehicles & radios using GPS when outdoors and iBeacon Bluetooth technology when indoors. Using a rich and intuitive mapping display, TruFleet shows the device's location on a web browser accessible from any desktop, tablet or mobile phone. GPS Tracking Software helps to manage history, reports, events and notifications, remote device control, custom billing, mobile phone tracking apps and supported GPS trackers. Future Fleet is an Australian telematics provider, delivering advanced fleet management solutions including driver safety and vehicle tracking. GreenRoad connected vehicle solution has revolutionized the way commercial fleets drive by combining real-time, in-cab coaching with cloud based contextual intelligence to make every business mile safer. groundHog is a mobile fleet management system used for underground mines. This system is designed to work out of the box for all underground mine operations. groundHog fleet management system controls production, tracks and schedules workforce, and helps you get deep insights to drive higher process efficiency. With groundHog, you can build a mine that is highly efficient, safe and profitable. Complementary software solutions dedicated to making your fleet successful. Vessel fleet management software solution including invoicing, dispatching, maintenance, data collection, and training. Horizon is a dispatch software solution that provides the ability to customize and highlight information with the ability to show five sets of information at one time from drivers, tractors, manifests, trailers and more files. Dispatch, routing and distribution-based software. Our fleet software ensures that all your fleet maintenance needs are met by specifically simplifying the management and maintenance of your vehicles. Optimizes ship technical processes, satisfying the main requirements of shipowners for a fleet management system. Innovative Maintenance is a fleet maintenance pro to track both vehicles and most types of equipment, like forklifts, dozers, generators, air compressors, and golf carts. Intelligent Forms Automation develops and deploys automated software solutions for the transportation industry. GeoDynamics is a Belgian company that specializes in the development of professional location-based solutions. GeoDynamics offers web-based solutions to businesses with mobile employees. InTouchGPS offers fleet tracking that combines cutting edge technology with an easy to use application to provide all the tools for you to easily manage your fleet, regardless of size or industry.